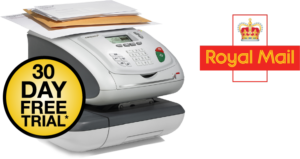 Frama is headquartered in Switzerland but is one of only 4 franking machine manufacturers officially approved by the Royal Mail. Most of their machinery is manufactured in Switzerland but exported all over the world to over 50 countries. Amongst their 100,000 customers worldwide are private companies, service organisations, postal authorities and service providers, taxation and finance agencies, and government organisations. Frama has a UK service centre which provides both training and customer support. Today the company is known for innovation even after 45 years in the mail processing industry. For example, they were the first manufacturer to produce a franking machine with automatic date change and integrated touchscreen. 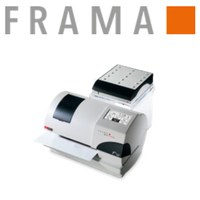 In addition to franking machines they also manufacture letter openers, folder inserters and MailTrace tracking software. We strongly recommend comparing multiple quotes to make sure you’re getting the best deal. 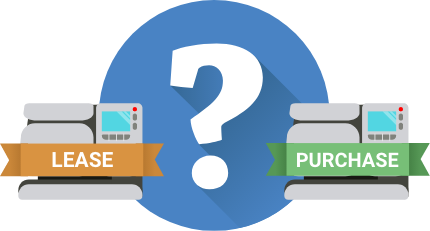 We can arrange no obligation quotes from the UK’s most trusted franking machine providers. Complete the form below and get free quotes within 1 hour.